Bichelmeyer Meats, located at 704 Cheyenne Avenue in the Kansas City Armourdale neighborhood (named after the old Amour meet packing plant that was once in the neighborhood) is arguably the most famous butcher shop in Kansas. Bichelmeyer’s have a long history in the meat business with one family member emigrating from Germany in the late 1800’s to work for Swift and Company. At one time or another, the family has had a cattle ranch, a butcher shop and a steak house. Needless to say, the Bickelmeyers know what they are doing. They have a 60 foot long meat counter featuring every pork product imaginable, and they also sell all the rubs, sauces, and smoking woods you need to make your barbecue complete. You can even pick up slightly used, razor sharp butcher knives, at a discounted price. These knives are perfect for carving up your delicious pork. And if it couldn’t get any better, on Saturday’s Bichelmeyer Meats serve fresh Mexican food right at the butcher shop. If you’re tired of the limited selection at your local grocery store, check out one of my favorite butcher shops, Bichelmeyer Meats. After a recent move to Southeast Kansas, fellow blogger Mike, a southeast Kansas native, suggested a few places I should check out. One of these places, Pallucca’s Meat Market and Deli is a real hidden gem. 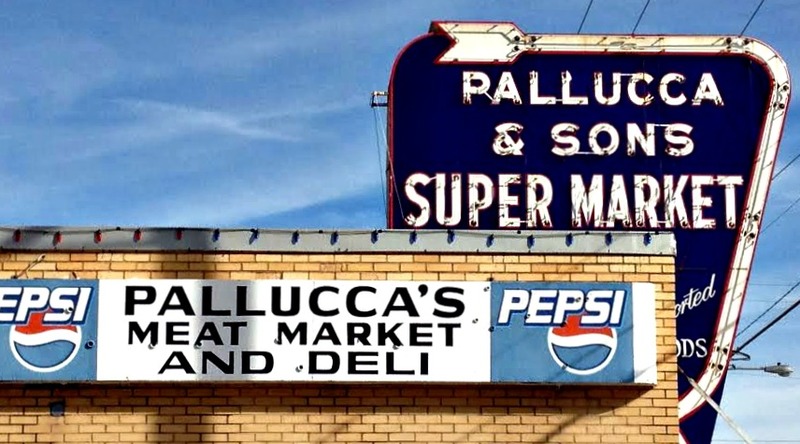 Palluca’s is located in the back half of the old Pallucca and Sons Supermarket is located in downtown Frontenac. Frontenac, Kansas, near Pittsburg, is a town rich in Italian history, due primarily to the coal mining industry, once a large part of the area. As the name suggest, they have a meat market full of fresh cut pork and homemade sausages, as well as a deli. I picked up a delicious homemade Cuban (with prosciutto rather than ham or pork loin) which I then brushed with olive oil, pan fried and ate for supper. What the name does not suggest (but the smokers do) is that they also do catering. If that wasn’t enough, they also have a small grocery area full of imported Italian foods. There are several varieties of olive oils, breads, pastas and anything else you would need to prepare a genuine Italian feast. Many of these items available would be nearly impossible to find anyplace else in Kansas. I can’t wait to check out some of the many varieties of flavorful sausages on my next visit. You should check them out too! 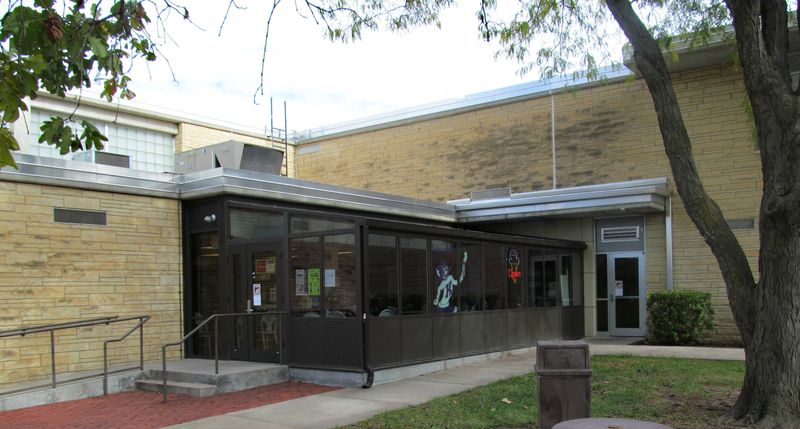 If you have ever enjoyed an ice cream cone from the Call Hall Dairy Bar located on the campus of Kansas State University, than you already know about the best place in Kansas to get ice cream. 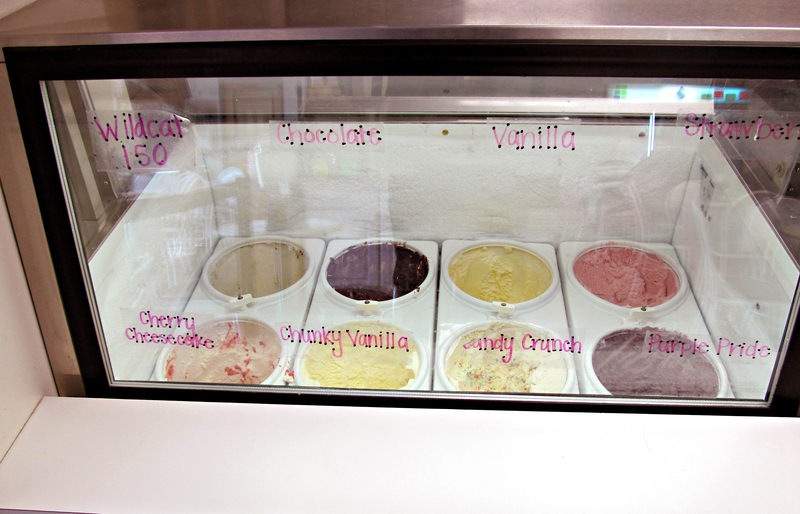 They have many wonderful selections including purple pride, 150 (celebrating the birthday of K-State), vanilla, chunky vanilla, chocolate and strawberry. 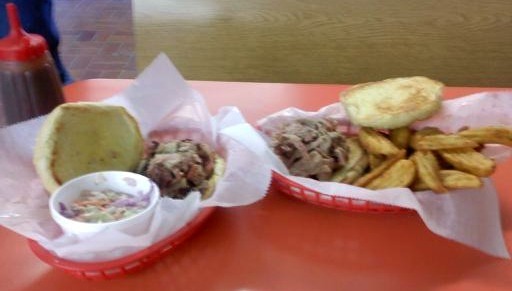 Did you know that the Call Hall Dairy Bar is also one of the best places in Kansas to get pork? 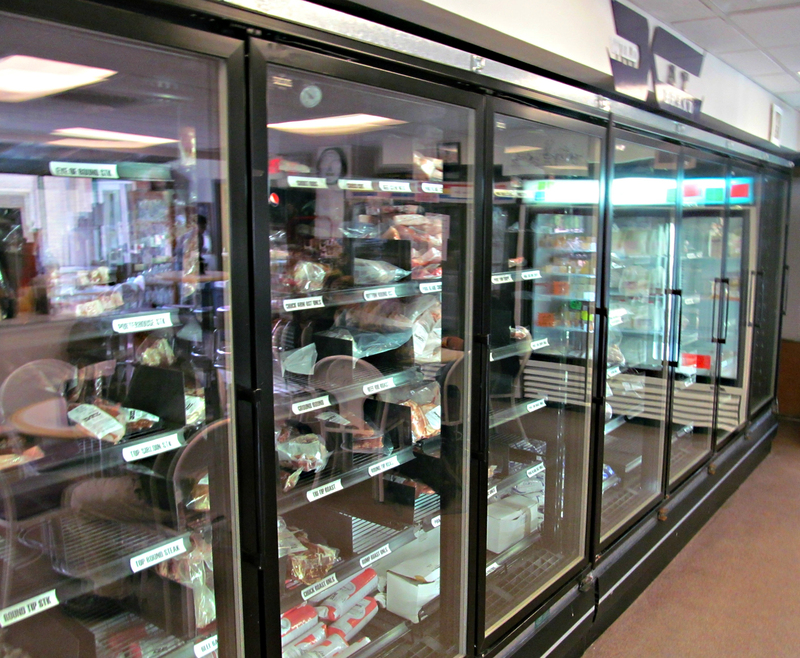 They have cooler after cooler of “Wildcat Brand” frozen meats including all your traditional pork favorites of ribs, bacon, pork burger, chops and roast. These delicious pork products are processed right on campus by college of agriculture students. They also carry a lot of specialty items like sausages, por-con (pork and bacon) burger, pig’s feet and other hard to find items. Some of my personal Call Hall pork favorites include German bologna and pepperoni snack sticks. Next time you are in Manhattan for a game or just stopping in for an ice cream cone, be sure to pack your cooler and go home with a generous supply of pork. 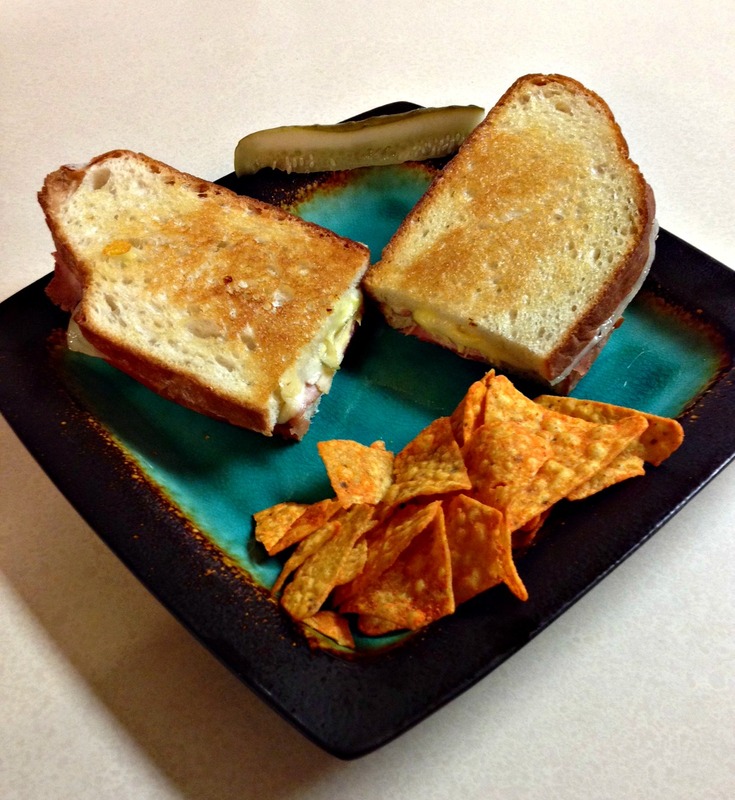 Not only will you support Kansas State University, but your stomach will thank you too! Normally when you think of convenience store food, old hotdogs on rollers and cheap low quality microwave burritos come to mind. Rarely do convenience stores and good barbeque go hand in hand. Except for when you’re talking about Lakeside Convenience, overlooking Waconda Lake in Glenn Elder, Kansas– it’s one of those rare treats. This place looks like a typical gas station. In fact, nothing outside the building indicates the delicious food available inside. Had it not been for a tip from Kansas State University Extension Agent Sarah Molzahn, who covers this area of North Central Kansas, I would have never known about this hidden gem. Don’t let this disguise fool you- this is some good grub! Lakeside Convenience carries a good selection of barbecue supplies including smoking woods and delicious Head County sauces. These are the same sauces served with their pulled pork sandwiches.The also sell Luther’s Smokehouse jerky, the same good stuff covered by fellow blogger Mike. They have a limited barbecue menu that includes wonderful pulled pork sandwiches seasoned with a homemade blend of spices and served on a butter toasted bun.During my recent visit, I chose seasoned fries for a side and was not disappointed. If you’re looking for something different or just something handy while out at the lake, you owe it to yourself to stop in. Just look for the fish out front. Until next time, swine and dine! We’re all used to eating pork in the various, common ways we find it in restaurants. There are the “usual suspects”, such as barbeque, Mexican foods, bacon, sausage, ham, etc. 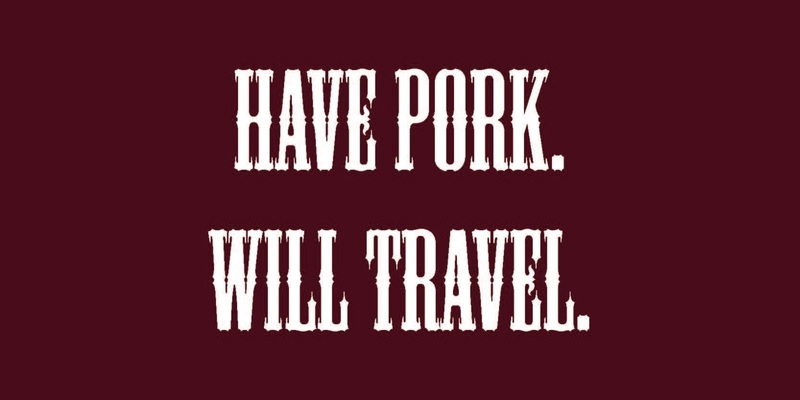 I’ve found though, you don’t really find pork in a “to go” form like I did on a recent trip through southeast Kansas. While on this trip, I was lucky enough to buy a bag of, and subsequently eat, some authentic pork jerky! 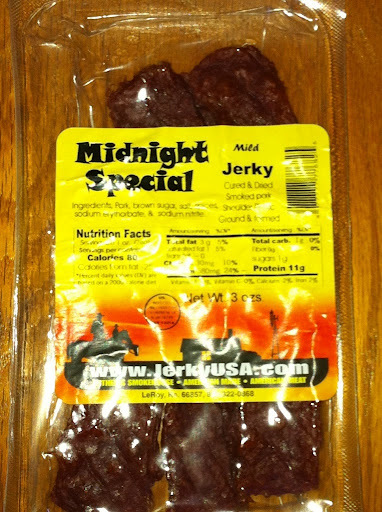 The jerky is called “Midnight Special”, and it’s one of the many types of jerky made at Luther’s Smokehouse in Le Roy, KS. Midnight or not, these are good. Luther’s Smokehouse, a former locker plant and now a jerky plant, is owned and operated by Martin Luther, a past professional meat cutter, and his wife Shirlee. The smokehouse, which also serves as a restaurant and grocery store, is the only place to buy food in LeRoy, population 550. Needless to say, the store is very important to the region! I’ve been familiar with Luther’s Smokehouse for many years. I frequently stopped there during my college years to get his famous beef jerky. I never dreamed during that time that he would someday pull off making a delicious pork jerky! Having never eaten pork jerky, or even seen it before, I thought I’d better try the stuff as soon as I saw it on the shelf. It turned out to be an excellent decision, as I found it to be really good! It’s a “pan jerky”, meaning it is ground and formed into the desired jerky shape and size before it is cooked on a flat surface. It is described on the package as “cured and dried smoked pork shoulder”, so I wasn’t surprised that it had a smoky, salty taste like ham. It was a flavor that I found to pair very nicely with the dry jerky texture. While I haven’t gotten a chance to try it, I know Mr. Luther has put another twist on the pork jerky theme with a product he calls “Cowboy Pocket Food”. 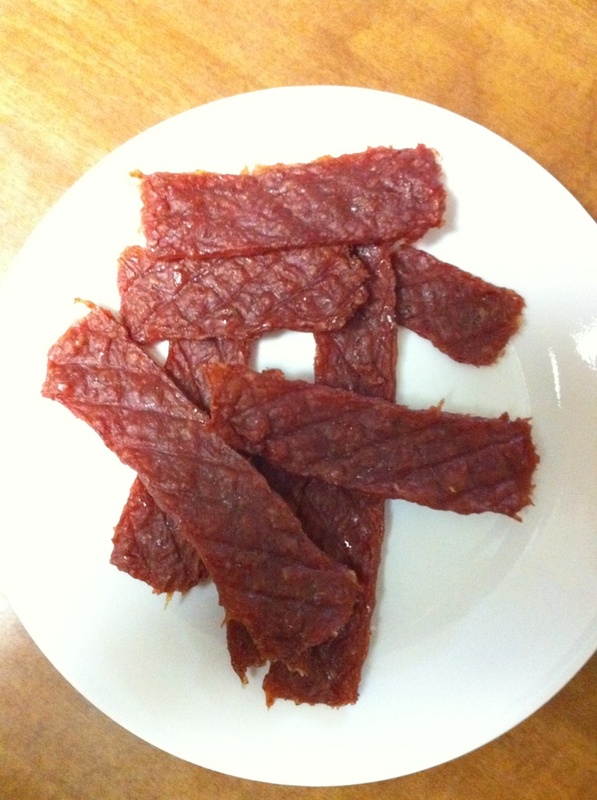 It’s pork jerky that is ground up with sweetened cranberries to make a pemmican-like snack. Both types of pork jerky from Luther’s cost $7.00 for an 8 ounce package. If you can’t make it to the smokehouse, a lot of gas stations in southeast Kansas now carry a limited selection of Luther’s jerky too. If those options don’t work for you, a person can always order from the store online; Luther’s ships worldwide. However, if possible, find a way to make your purchase in person. The reason being that Martin Luther takes pride not only in his meat preparation abilities, but in a good joke too. The store, inside and out, reflects his sense of humor much more than this article can, so schedule a trip to LeRoy, KS to try some pork jerky at one of the true treasures of rural Kansas. In the spirit of jerky, the folks at the Kansas Pork Association thought that you may want to try your hand at some of your own homemade jerky fixin’s. We don’t expect it to be quite as good as Luther’s but if practice makes perfect. Here is your chance. 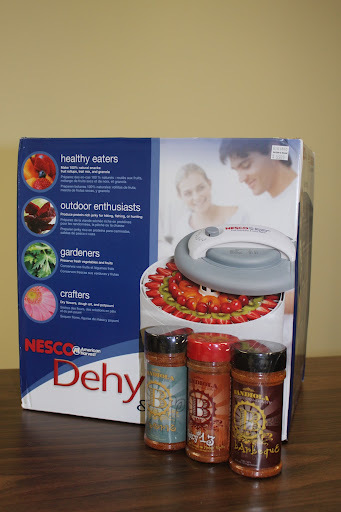 The giveaway includes: (1) A NESCO Dehydrator & Jerky Maker. This brand of lean mean dehydrating machine touts itself as the world’s fastest and most even-drying dehydrator on the market. (2) A Bandiola pork spice pack. Bandiola prides itself on enhancing the simple pleasures of family, friends and food with a complete line of spices. To learn more about Bandiola, visit them here. As always, a big thank you goes to our sponsors at the Kansas Pork Association for supporting us and providing these gifts to you all. Answer the question below for a chance to win. We will randomly choose one person from the comments below on December 10 (yes, that’s tomorrow) at 2 pm CST. Question: What cut of the hog do baby back ribs come from?